There are numerous myths and misconceptions surrounding home care services. As a concerned provider of medical home care in Honolulu, Hawaii, we believe that these erroneous thoughts can prevent individuals and families from enjoying the convenience, comfort, and benefits that we can provide. So, to help clear up any confusion you might have about home care services, we have listed down its common myths and the facts behind them. Myth: Home care is very expensive. Fact: According to Paying for Senior Care, in Honolulu, the average assisted living cost in 2018 is approximately $5,070. On the other hand, the average hourly cost of home care is less expensive and only costs about $24.75/hour. So, if you are looking for a more cost-effective care option for yourself or an aging loved one, home care may be the solution that you need. Myth: Only seniors can benefit from home care services. Fact: Home care is beneficial for people of all ages; not just seniors. It is often utilized by people recovering from surgical procedures or injuries, people with disabilities, and family caregivers who wish to take a break from their caregiving responsibilities. As an experienced home care provider, we can customize our services to fit your unique needs and situation. We don’t believe in a “one service for all” approach. Instead, we take the time to understand your needs and tailor our services accordingly. Myth: Home care won’t cover long-term needs. Fact: Most people think that home care is only a “temporary fix”. However, we understand that some individuals may require long-term care and we are prepared to work with you and your family to develop a long-term care plan that meets your needs. As a dedicated provider of home health care in Hawaii, we want to make sure that we are able to meet any and all of your needs. Myth: I should be the one taking care of my loved one. Fact: As much as you want to help, you may not have the right skills or training to provide the care that your loved ones need. Also, your loved one may feel more comfortable about accepting help from a trained home care professional, rather than burdening you or other family members with their care needs. Myth: Home care is only suitable for very ill individuals. Fact: Most people who acquire home care services aren’t even ill at all. In fact, some people utilize our home care services to get assistance with activities of daily living, such as bathing, personal care, transportation, meal preparation, and more. Some do it for the companionship that we provide and other family caregivers hire us for respite care. 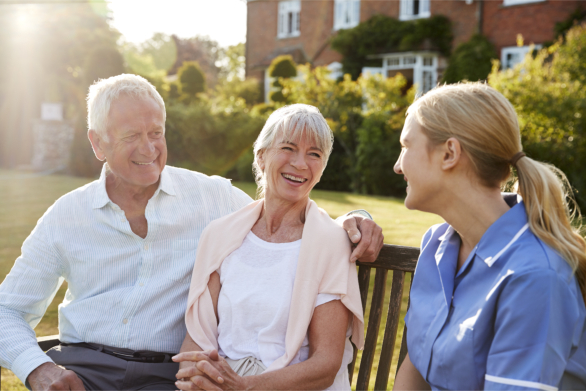 There are various reasons why people choose to acquire home care services and it’s not always because they need help with an illness or medical condition. Do you still have lingering doubts about home care services? If you need more proof, contact the professionals at 3GS Direct Care Services Provider Home Care. We can’t wait to show you how remarkable home care can be! This entry was posted in Home Care and tagged home care professional, home care services, personal care, respite care. Bookmark the permalink.